You are looking mighty dapper today old sport, what did you do differently? A new hat? A new pair of pants? Going for a little ride on a steamboat? Did you plan on hopping on deck while wearing your old jeans? Not on our watch! This boater jacket comes with a style straight from the 1920's. It gives you that vintage feel that every dapper young man needs to feel every once in a while. 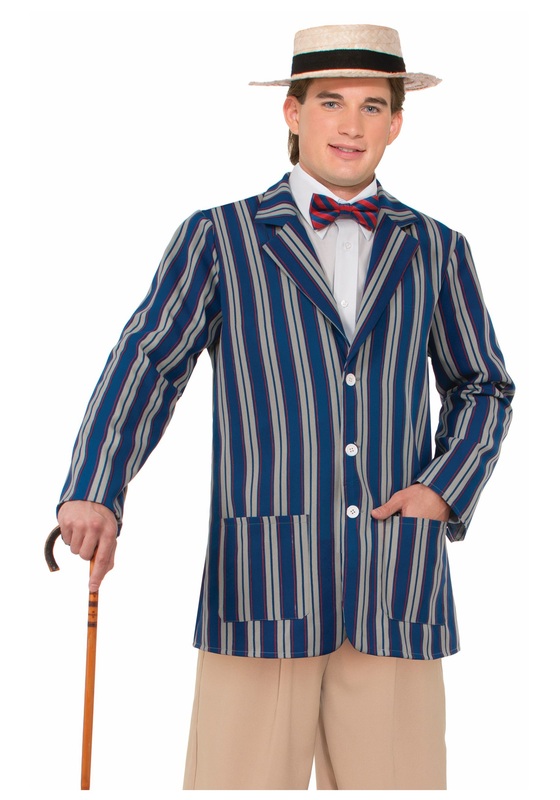 This jacket features a blue and grey striped design and is 100% polyester. White buttons are donned on the front, perfect for when the sea breeze is a little chilly and you need to button up. Two pockets are also featured on the front of this boater jacket. Pair it with a walking cane, bow tie, and a classic boater hat for the most sophisticated look of the night!